A 2-volume set containing a biography of Swami Vireswarananda, and his letters and reminiscences of him. Swami Vireshwarnanda was initiated into the Ramakrishna Order by Sri Sarada Devi, received Sannyasa from Swami Brahmananda, and headed to greatness becoming the president of the Order. He served in this capacity for nineteen years, a tenure second only to Swami Brahmananda. 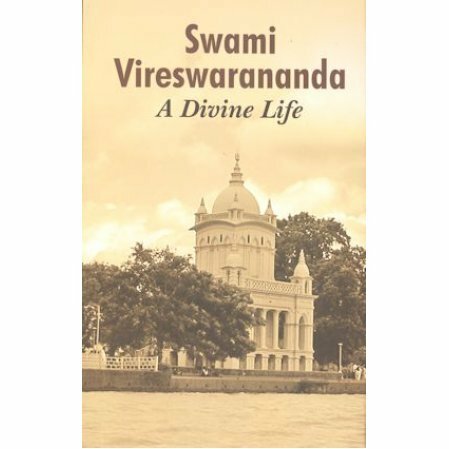 This beautiful set presents to the reader a myriad of details about the life of Swami Vireswarananda. The 150 page biography by Swami Chaitanyananda is followed by 100 pages of letters from Swamiji to a host of devotees and friends. The balance of the set consists of personal reminiscences by the many people who came into contact with him. Swami Vireswarananda was the author of Spiritual Life for Modern Times as well as a translator of the Bhagavad Gita in both standard and pocket editions. He also translated the Brahma Sutras into English in two different editions--one with commentary by Sri Sankara, and one with commentary by Sri Ramanuja. The editor, Swami Satyamayananda, is currently the Assistant Minister of the Vedanta Society of Southern California in Hollywood. He is also the author of Ancient Sages and Encountering the Memory-Self, and the editor of Approaching Ramakrishna and Eminent Indian Women.